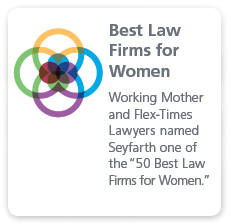 When it comes to ensuring that our clients comply with the ever-changing regulatory landscape in marketing communications, the attorneys in Seyfarth Shaw’s Advertising, Promotions & Sweepstakes practice are equally committed to keeping our clients’ messages clear, consistent and strong. 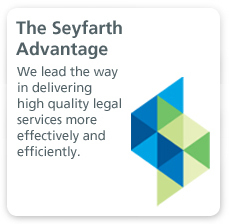 Our attorneys advise and counsel virtually every type and size of business. We also represent advertising, promotion and public relations agencies, where we have helped clients to design and implement cutting-edge national and international promotions in a variety of outlets and media including social media. We understand the fast pace of the advertising and marketing space and know how to get deals done. 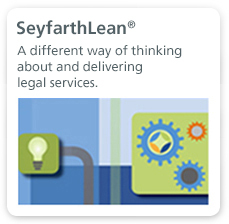 Seyfarth counsels clients on how, in a strategic way, to structure various promotions such as contests, sweepstakes, promotional offers and cause marketing programs. We also help clients structure and negotiate the myriad types of agreements that are unique to the industry, such as spokesperson and talent agreements, joint promotion, cross-marketing and strategic alliance agreements. We review our client’s advertising for legal compliance and assist in developing internal policies regarding social media, user generated content and advertising and promotion practices. We can provide training to our clients so that they can spot and address issues as soon as possible. With this approach, we can help our clients avoid many, if not most, disputes. When conflicts do arise, we can help our clients negotiate favorable and innovative solutions. When needed, we have successfully challenged or defended advertising claims and campaigns and other contentious issues. We aggressively represent our clients in litigation and regulatory hearings, always mindful to do so in the most timely, cost-efficient and effective manner. Over the years, we have successfully articulated our clients’ positions and achieved favorable outcomes in a variety of venues, including the Federal Trade Commission, federal and state courts, and the National Advertising Division of the Better Business Bureau.